The GDPR is a European Union (EU) privacy law and comes into law May 2018. It regulates how organizations that are subject to the Regulation treats or uses the personal data of people located in the European Union. Since Recognize transmits, changes, and stores personal data of EU citizens, Recognize follows GDPR guidelines and rules. All data transferred into and created in the Recognize platform is monitored by its source, purpose, and who its shared with. Contact Us for this list. Users can leverage all of their data rights following our Data Subject Access Requests Policy. Recognize will retain subscribed company data up until a retention window after a company's account no longer is active. Contact Us for our data retention policy. Recognize follows the principle of data protection by design and default. All employees must undergo security and privacy training. Developers follow the Secure Development Lifecycle (SDLC). 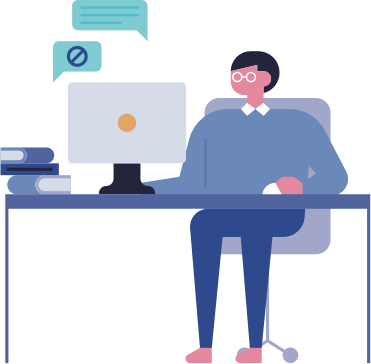 Recognize has appointed a Data Protection Officer and a representative in the EU who reviews all our privacy and compliance processes as well as handles issues interfacing with local authorities. Recognize is prepared and committed to reporting all data breach notifications to companies and local authorities within 72 hours. Recognize has Data Processing Agreements with all our subprocessors who may store personal information. Consent can be rescinded or restricted at any time. It is your right to access or remove your personal data. Learn more about how Recognize handles data subject access requests. Recognize will remove all personal data concerning you from Recognize. Recognize will email you a machine-readable file with all of your personal data Recognize collects. Recognize will take identifying fields within our database and replacing them with artificial identifiers.